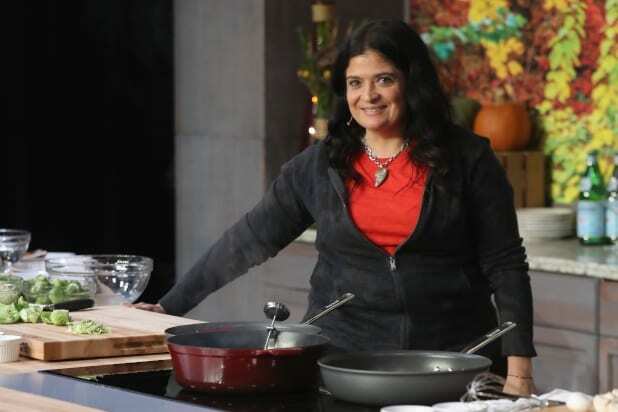 Alex Guarnaschelli has signed an exclusive multi-year, multi-platform deal with the Food Network, the network announced on Thursday. Under the new deal, Guarnaschelli will host a new, primetime series. She will also appear as a recurring co-host on the Saturday morning show “The Kitchen,” and will continue to judge the competition series “Chopped,” and her digital series, “Fix Me a Plate,” in which she goes behind the scenes at her favorite restaurants. “Food Network has been my extended family for as long as I can remember, and if I didn’t have a knife in my hand right now, I would pinch myself at the thought that I get to continue to have the opportunity to create so much fun and delicious content and memories,” Guarnaschelli said in a statement.